The Arlington Outdoor Education Association (AOEA) and the Arlington County Public Schools (APS) are partners in the Outdoor Lab. The Outdoor Lab is owned and maintained by the nonprofit Arlington Outdoor Education Association (AOEA). 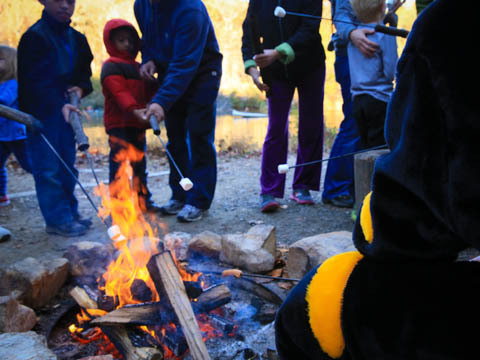 The Outdoor Lab’s Educational Programs are designed and delivered by Arlington Public Schools. The purpose of the Phoebe Hall Knipling Outdoor Lab is to provide a facility and support for a school program designed to give Arlington students an opportunity to learn science, outdoor skills, arts, and humanities in a natural setting. Annually, the Lab provides hands-on outdoor and environmental education to more than 9,000 students from elementary grades through high school. The Phoebe Hall Knipling Outdoor Laboratory is a 225-acre facility in Fauquier County that provides a natural classroom for Arlington Public School students. It has a spring-fed stream, a pond, nature hiking trails, plant, and animal identification areas. Camping sites, a classroom, kitchen, and dining facilities are used daily during the school year. An observatory includes a 10 inch reflecting telescope for astronomy studies. Four classes per week visit the Outdoor Lab, one of which has an overnight, and there are three week-long summer camps. In 2013, the Lab hosted two weekend open houses for Arlington children and their families. The Outdoor Lab has made a major and positive impact on the welfare of thousands of school children. In this natural classroom, urban youth — often for the first time — can run in a meadow, climb a mountain, hike beside a stream or fish in a pond. Visiting the Outdoor Lab allows children to see the fun and value of education and to learn, not only about the environment and the outdoors, but also that education is exciting. In addition, the Outdoor Lab has provided several opportunities for Boy Scouts to complete their Eagle projects. 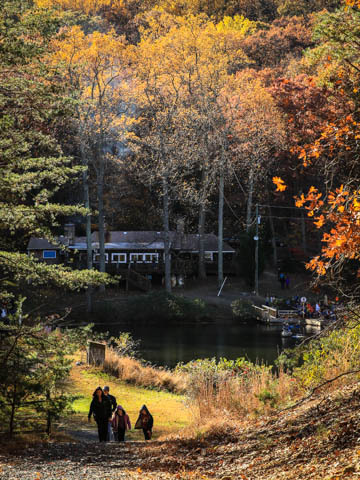 The Arlington Outdoor Education Association (AOEA) was formed in 1967 to own and operate the Outdoor Lab and is responsible for maintaining the facilities and property. Arlington County Public Schools funds the educational programs at the lab and employs the Lab Staff. The AOEA is a public charity, and participates in the United Way and Combined Federal Campaign. Watch the APS Green Scene video commemorating the Outdoor Lab’s 50th anniversary here. Many thanks to John Stuhldreher for his help with this project.